This year is almost over and I am busy preparing for 2015. Winter is one of my favorite times of the year. I love seeing family and friends at holiday gatherings and reflecting on the past twelve months. I like to think about the things that happened that really boosted me up and also the moments when things weren't going so well for me. I've been working with Leonie Dawsons workbook and planner to really give me an edge in the coming months. I love her goofy style and her workbook makes you think about your goals and dreams for 2015. I also recently finished a Purium green juice cleanse that was such an eye opening experience for me. I'd never done any thing like that before. It showed me where my food addictions were (sugar, no surprise there!) and how they were more like habits then actual addictions once my nutrition was being taken care of by healthy, organic, and whole foods. 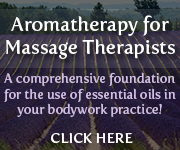 I took other great trainings this year and became a certified Aromatherapist. I'm super excited to find out where that will take me and I know I have so much more to study in the coming months. 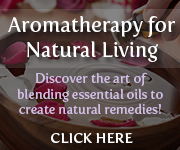 Aromatherapy is another holistic therapy that has interested me for quite some time as well as herbalism. I started taking classes with the Herbal Academy of New England and find it so fascinating. I know that I am going to be able to bring all of this together in to my massage practice in the coming year to offer some deeply therapeutic sessions. This is what I am busy planning for and I'm incredibly excited about! It's almost time for my favorite NYE tradition! Setting goals and intentions as well as clearing away the old year is so powerful and transformational. Question: How do you start your New Year? Do you have any traditions or rituals? On a personal life note: One of the happy moments of this year was when my husband and I adopted Harley, our chocolate lab. He's such a sweet heart and we really enjoy having him around to keep the our other two dogs company. He fits right in and likes to claim all of the dog beds as his own. An absolute cutie. I was so lucky to be able to travel down to Austin for the integrative restoration training with Richard Miller and Stephanie Lopez. I studied iRest Yoga Nidra with them for an entire week, after having a personal practice for several years and falling in love with it. I began teaching this meditation style at Divine Sight Healing Arts Center in Dallas and also at Beach Mat Yoga, right near my office in Richardson. It's been so much fun teaching again and introducing people to another way of relaxation and holistic wellness.